Solomiya Savedchuk – 5th year student of the medical faculty №2. Born in Kalush, Ivano-Frankivsk region. In 2009 she graduated with honors from the Secondary school (gymnasium) of Kalush, over the years of study she was a multiple winner of the regional competitions in geography, physics and chemistry. 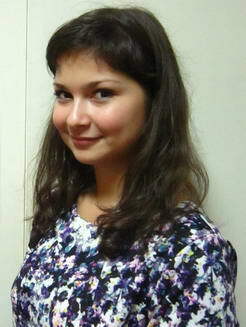 She is also graduate from exchange programs FLEX (2007-2008) and USA/USA (2010). Since 2009 studies at O.O. Bohomolets NMU, the mayor of the academic group. She is actively involved into academic life of the University. Since 2010 she is a member of SSS named after Kisel. She was awarded for the best scientific work in international scientific conferences of students and young scientists “Actual problems of modern medicine” (2010-2012), international scientific conferences dedicated to the World Health Day (2010-2011). She also won Certificate Diploma of 3rd degree in the National Olympiad in English (2011), and 1st place in endocrinology (2014). Roman Brukhno – 6th year student, Medical Faculty №2. Born and grown up in Kiev. Since his childhood he preferred the natural sciences. When he was quite small, he wanted to become a veterinarian, but gradually with age his ambitions increased, so in 11th grade of the secondary school, despite the fact that for many generations there weren’t any doctors in his family he decided to enroll into medical university. According to Roman, studying at the University allowed him to learn continually something new, to conquer new heights, to strive for self-improvement, and histology, biology, normal and pathological physiology, pathological anatomy became the most interesting subjects for him. In his free time he is fond of sports, interested in politics and culture. He likes to read, to pursue actively his free time, enjoys nature. 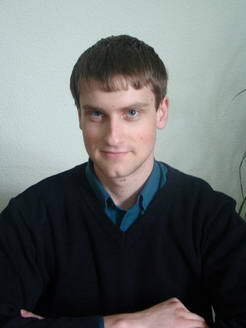 Dmitry Shamrai – 6th year student of Medical Faculty №1, SSS member named after Kisel. He graduated from Ukrainian Medical Lyceum of O.O. Bohomolets NMU in 2008 with a gold medal. He participated in the competition of scientific works SAS (diplomas of II and III degrees). He takes an active part in the scientific life of the university, is engaged in student scientific circles at the Department of Infectious Diseases, Surgery, is a Mayor of the academic group at the Department of Histology and Embryology. Areas of his interest: in medicine, abdominal surgery, infectious diseases, modeling of precancerous states in ovarian of rats. Hobbies: sports and table tennis, cycling, billiards, board games, chess. Tetiana Komarova – 3rd year student of Medical Faculty №1. In 2011 she graduated from the Kiev school with a gold medal. While studying at school she took part in many regional competitions, won prize places in olympiads on biology, geography, physics and chemistry. In addition, since the eighth grade Tatiana actively was interested in science, was a member of the Small Academy of Sciences. In 2009, Tatiana won a grant for a trip to the All-Russian conference «Intel-Dynasty-Avanhrad” to Moscow, where her work in the section “Medicine” was ranked as first. 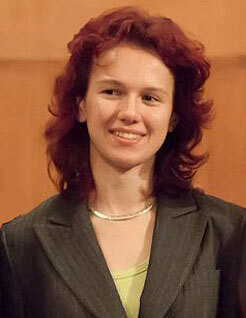 In 2010, Tatiana won the prize of the competition on the city-protection works of Small Academy of Sciences, and in 2011 she won the prize at the National stage of this competition. The victory gave to Tatiana extra points for entering into O.O. Bohomolets NMU and the President recognized her services by awarding of the Presidential Scholarship. Now Tatiana carefully studies and she is one of the best students of the course group, faithfully performs the duties of the mayor of the academic groups and students flow, she is involved in the life of the Student Scientific Society named after O.A. Kisel as the author of scientific articles, and moderator of the English section, visits clubs of English language learning, on Therapy and Pathology. Victoria Holinko – 5th year student of the medical faculty №2. She was born in Kiev. In 2009 graduated from the Ukrainian Humanities Lyceum of Kyiv National University named after Taras Shevchenko. 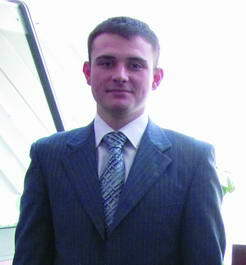 Winner of the Scholarship of the President of Ukraine (2009). In 2009 she entered into the Medical Faculty №2 of the O.O. Bohomolets NMU under the state order. Since 2011 she is a member of the Student Scientific Society named after O.A. Kisel. 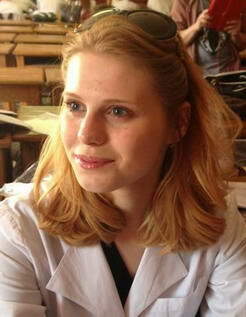 She takes an active part in the scientific life of the university, is engaged in student scientific circles at the Department of Physiology, Department of Histology, Electronic Microscopy Laboratory of the Institute of Pathology problems in the circle of Experimental Surgery at the Department of Surgery №4 and in the English club. She actively participate in the International Scientific Congress of Students and Young Scientists named as Actual Problems of Modern Medicine and International scientific conference dedicated to health. In 2014 she took a second place in the second stage of Ukrainian Student Olympiad in pediatrics. On the same year she received diploma degree at the second stage of the Ukrainian student research in the field of “Clinical Medicine” (surgery). She is fluent in English, translates scientific literature. Excellent student in studies, with the average point – 4.9. Vladimir Wolf – 5th year student of Medical Psychology Department. Born in Poltava in the family of civil servants. He graduated with honors from Kobeliaky secondary school №2 named after O.T. Honchar. For high achievements in education he was recorded into the Book of Honor for Gifted Youth of Poltava Region. Since 2009 he studies at the O.O. Bohomolets National Medical University under the public order. His average points score – 4.99. Mayor of the academic course and academic group. Coordinator of the SSS on international and inter-university relations. Anastasia Danchenko– 4th year student of Medical Faculty №1. In 2010 she graduated from the Luhansk Lyceum of Foreign Languages with honors (golden medal for study). There was a multiple winner of the National Olympiad in Biology and tournament of young biologists. 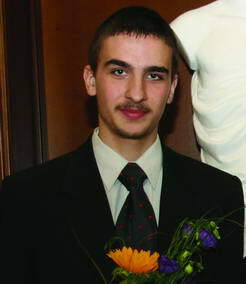 Winner of the Scholarship of the President of Ukraine (2010). Since 2012 she is a member of the Student Scientific Society named after O.A. Kisel. She takes an active part in the scientific life of the university, is engaged in student scientific circles in the departments of psychiatry, surgery №4 and is the Major of the academic group at the Department of Neurosurgery. 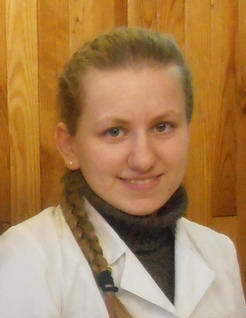 The winner of the second stage of the Ukrainian student competition on Biology (diploma of II degree, 2011). 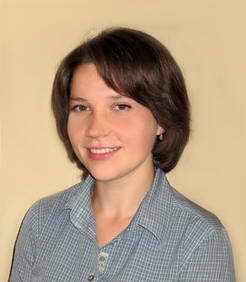 In 2014 she took a second place in the second stage of Ukrainian Student Olympiad on Psychiatry in Kharkiv. Yuliya Kotova – 2nd year student of Medical Faculty №3. She studied in the specialized school №92 named after Ivan Franko in Kyiv. In 2012, she realized a long-awaited dream, joined the O.O. Bohomolets National Medical University. Among the many medical areas she is interested most in ophthalmology, because of it she has already began attending the circle of ophthalmology at the University in SSS named after O.A. 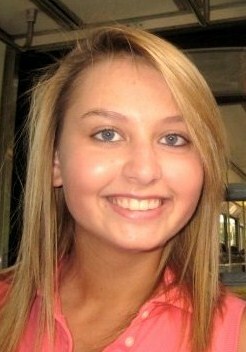 Kisel during the second year. He participated in conferences and wants to use medicine and foreign languages jointly in order to do research works in English and French and to participate in foreign conferences. Since childhood, she was fond of French language and culture of France. For many years she attended the intensive courses at Institute Français d’Ukraine where she received a diploma confirming the high level of knowledge and evidencing her fluency in French language (DALF C1). Andrii Maranov – 2nd year student of the medical faculty №2 of the OO Bohomolets NMU. In 2012 he graduated from the Kiev school with a gold medal. During his school years he took an active part in social and cultural life of the school. The winner of more than 50 medal competitions and tournaments over the district, city and national level in biology, Ukrainian language, physics, mathematics, history, literature and others. The prize-winner of defense scientific papers and a full member of SAS. He awarded Diploma of the International scientific workshop dedicated to World Day on fight against cancer for the best scientific work. 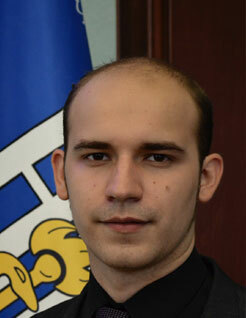 In March 2013 he won II place in the National competition of student research papers on history in Ostroh. In 2013 he won 1st place in the National Olympiad in physics in Kharkiv. And he received a gold medal for that. In 2014 he received the 3rd place at the 2nd stage of Ukrainian Student Olympiad in cultural studies. His hobbies are swimming, skiing and singing. Alla Tatchenko – 5th year student of the Faculty of Dentistry, was born on October 13, 1992 in the village of Velyka Snitinka in Kiev Region. In 2002 she entered Fastov boarding school and graduated in 2009 with a gold medal and diploma of the third degree of the phase III of the All-Ukrainian competition on defense of the research works of students – members of the Small Academy of Sciences of Ukraine in the section of theoretical physics. During the years of schooling he was a winner of pupils competition in physics, chemistry, biology, geography, Ukrainian language and literature. n 2009 he entered the O.O. Bohomolets National Medical University. During training he proved himself as diligent, disciplined and proactive student with average score – 4.85. Mayor of the academic group. Member of the Student Scientific Society named after O.A. Kisel. Engaged into student scientific circles in the departments of Pediatric Dentistry and Therapeutic prevention of dental diseases and Therapeutic dentistry. In 2013 academic year he was awarded scholarships of the President of Ukraine.